If you are a technology lover and a pet lover at the same time, then you will definitely come across the term of pet technology. Technology is capturing a major part of our lives and we are dependent on it for several purposes and that is why Pet technology has emerged. We all love our pets and we need technology which can help us to simplify the process. Technology has now become a mainstream topic instead of being limited to technology enthusiasts. All the pet technology services and products come under the umbrella term of pet tech. It has been specifically designed for helping the pets in achieving better health along with well being. If you are looking forward to pet technology then it will include some mobile applications, E-Commerce, gadgets, services which are available online and many more. It also contains technology hardware or software platform and veterinary equipment as well. 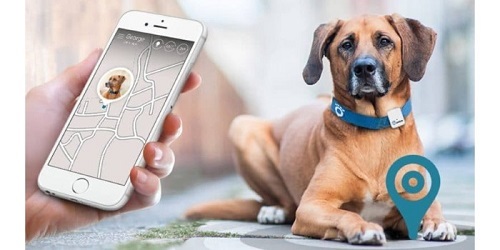 With the help of pet technology, the pet owners will be getting proper information regarding the data related to their pet and it is also used by the veterinarians as well. The concept of pet technology has arrived because of the trend of humanization of the pets. With the help of pet technology one will be making the ownership seem efficient, fun and easier. Why It Is Gaining So Much Popularity? From the perspective of the pet owners, one can say that any pet owner is having immense love for their pet and they will ensure that their pet is in a comfortable position and that is why they are now getting dependent on technology. It is an effective option if you want to spend an initial hefty amount but now the cost has been reduced in order to make it available to maximum consumers. There are several pet caring technologies that will help you to track the health of your pet and ensure that they are getting proper help. There are other technologies, which will enable one to perform the daily caring duties properly. There are many products which will help in increasing and entertaining the owner and the pet as well. You can also purchase the products which will help in keeping the pets in a safe condition in order to ensure that nothing is going to harm them outside or inside the home. This is a complete overview that will help you to understand how the pet technology works. NEXT POST Next post: What is your favorite Matching Dog Trend this Summer?